Throughout our club’s 29-year history, several Boca teams have been invited to top US national and international tournaments including both the Dallas Cup and USA Cup just to name a few. Maria Burns of ESPNsoccernet provides an interesting take on the latest competition at these events and writes that when it comes to hosting youth soccer tournaments with an international flavor, the US continues to reign supreme. It seems a simple enough concept: Bring together the youth teams of the best-known clubs in the world to play in a tournament. It’s virtually guaranteed teams would clamor to get into such an event. There are statements from people — coaches, managers, players and executives from various clubs — to prove it. 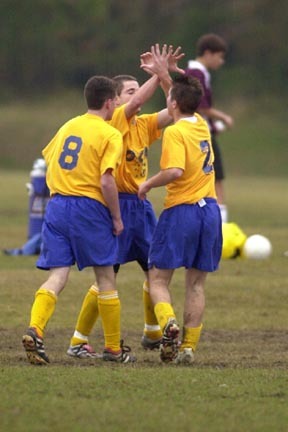 However, while tournaments for various national youth teams abound, few exist for club teams at the international level. And when it comes to putting together such events, the United States reigns supreme — if not alone. Why? Well, because, in all honesty, no other country really seems to be organizing these kinds of tournaments. First, there are logistical issues. As much as some people like to complain about soccer getting no love in the United States, this country has facilities that can rival those of the best clubs in the world. “The difference, if I try to compare the U.S. top-caliber tournaments with European [ones], is the level of the facilities is amazing,” said Ivan Bravo, international development manager for Real Madrid. Understandably, those clubs are more interested in running their $1 billion organizations with an emphasis on their first teams than setting up junior tournaments. The Dallas Cup which enters its 28th year (and takes place April 1-8 in Frisco, Texas, at Pizza Hut Park), has set the standard and continues to raise the bar. Disney prides itself on being college scouting’s mecca, but its international bracket is the showcase’s marquee division. Sponsorship agreements with adidas have helped ensure a high level of competition at both events as the super soccer sponsor flies in selected teams. This year, the tournament’s “Super Group” includes teams affiliated with Real Madrid, Chelsea and Mexico’s Primera Division Tigres along with nine other squads from Mexico, England, Germany, Brazil, Ireland and the United States. Various other international club teams will take part in the 180-team event. Some of the game’s biggest names — both domestic and foreign — have participated in the Dallas Cup over the years, from David Beckham to Raul to Landon Donovan. Having just completed its seventh year, Disney’s version is younger. It’s also currently smaller, featuring three international teams (most recently Real Madrid, Tigres and Newcastle) in its eight-team elite division. Despite their differences, the underlying concept is the same for both events. That opportunity is becoming more valuable as the professional clubs continue to diversify their rosters with players from around the planet. Proof that a simple concept can have a lasting impact.